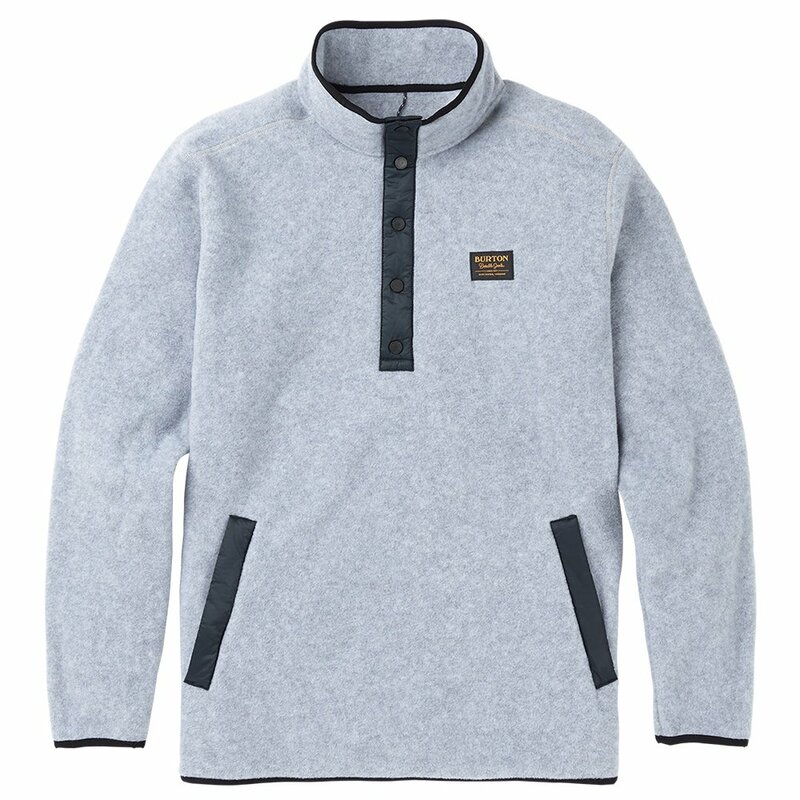 The Burton Hearth Fleece Pullover has a classic design, so you can buy it this year and know that in five years it'll still look current. A zippered chest pocket is great for stashing cash or cards and, since it's brushed with waterproof coating, you won't end up with a soaked fiver if you get caught in the rain. The Hearth Fleece has a regular fit, leaving room to layer underneath. This pullover has double handwarmer pockets as well as one waterproof chest pocket. Lycra® binding at the cuffs and collar keep cold air and wind off your skin. Mid-weight Polartec® fleece is warmer than knits and cotton sweaters.